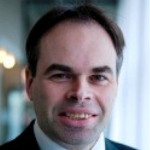 Professor Herbert Rijken is Full Professor Corporate Finance at the department of Finance at VU University Amsterdam. He obtained his PhD (1993) in Physics at Eindhoven University of Technology. His current research interests are corporate credit risk, structured corporate finance and economics of corporate governance.